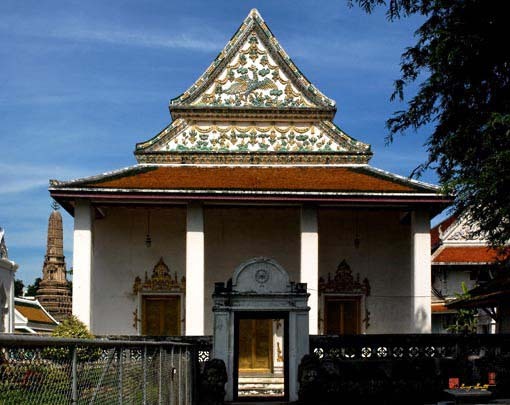 Wat Thepthidaram Worawihan, วัดเทพธิดารามวรวัหาร, was originally called Wat Phraya Krai Suanluang as it was located in Tambon Suan Luang Praya Krai. 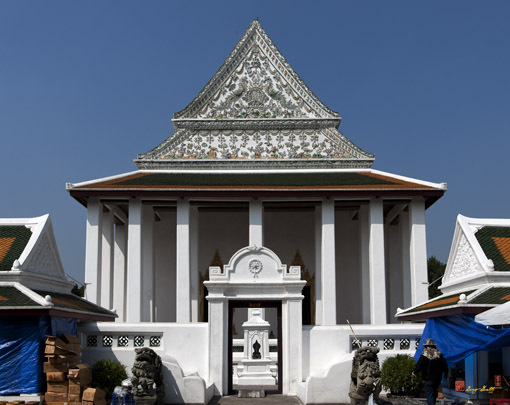 King Rama III established the temple in 1836 (B. E. 2379) to honor Somdet Phrachao Lukthoe Krommamuen Apsorn Sudathep. 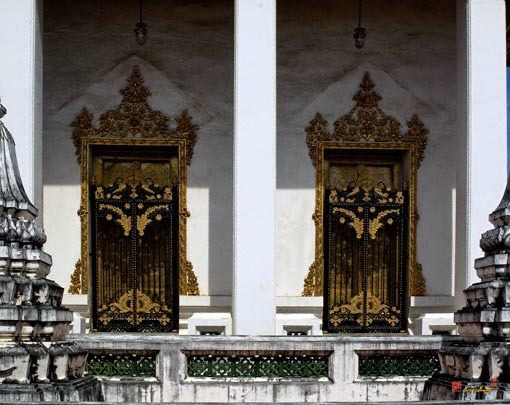 King Rama III had favored her very much because she had provided services to the king for a long time. 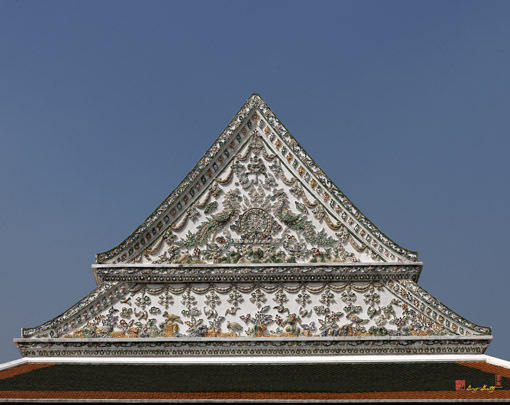 The construction of the temple was completed in 1839 (B. E. 2382), and given the royal name of Wat Thepthidaram since Somdet Phrachao Lukthoe Krommamuen Apsorn Sudathep also contributed funds for the construction. 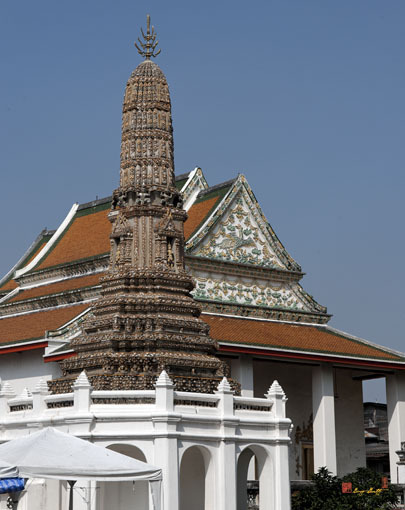 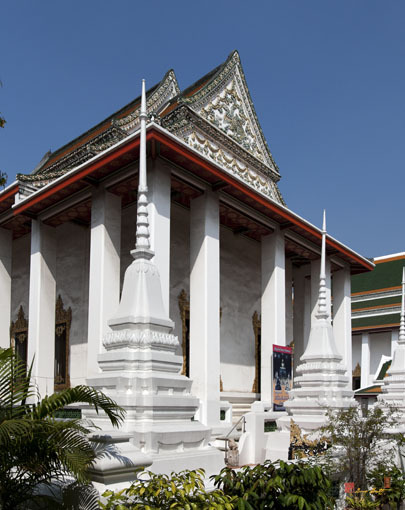 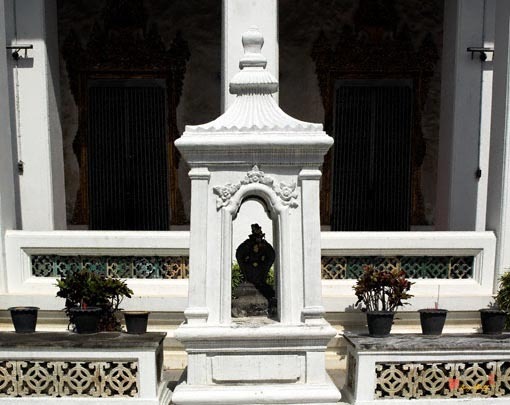 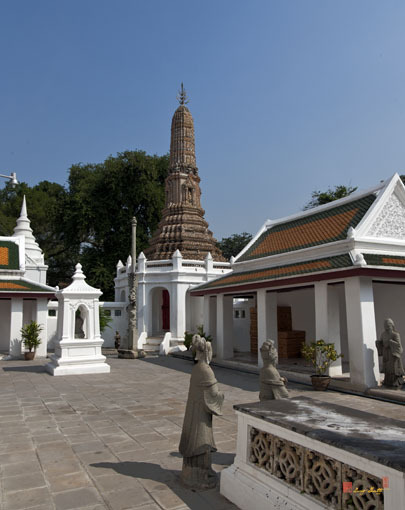 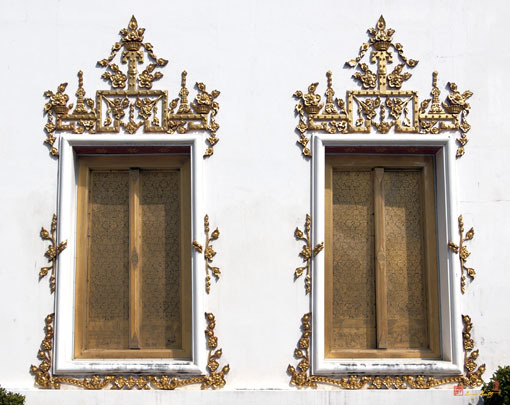 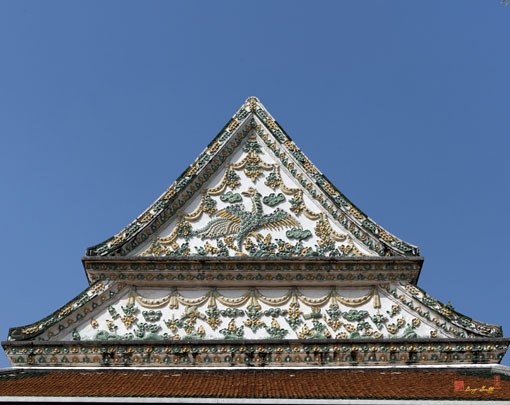 The temple has many items and artifacts with beautiful patterns, porcelain, and Chinese statues, due to the prosperous trade between China and Thailand at the time. 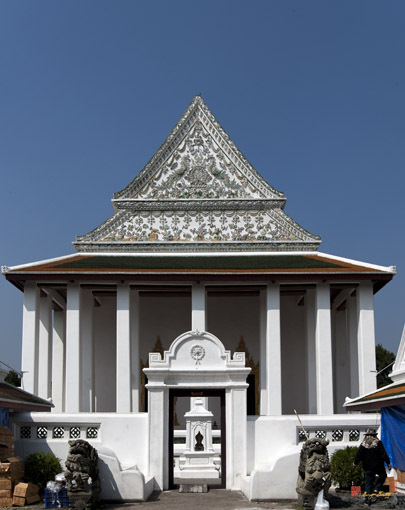 In the Ubosot (Ordination Hall), the principal Buddha image, carved from pure white stone is enshrined inside the Wetchayan Butasabok (small mandapa), that King Rama III had moved from the Grand Palace to the new temple. 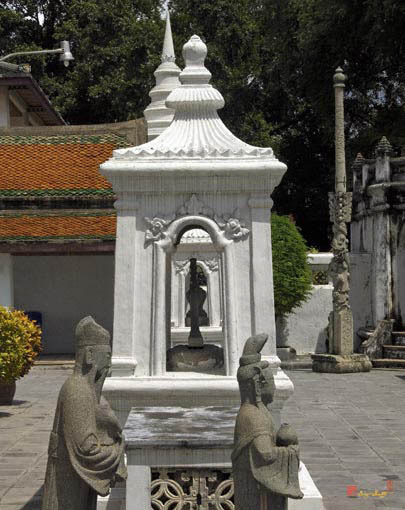 It is called Luang Phor Khao. 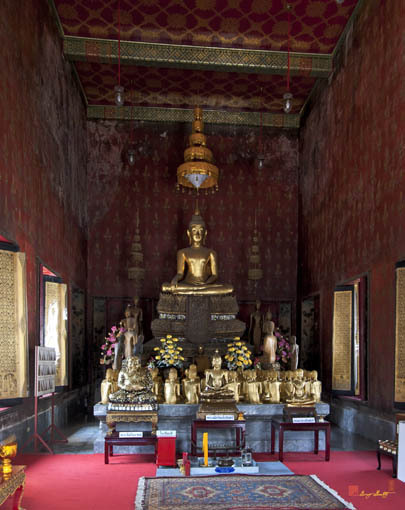 Later King Rama IX gave the name Phra Phutthathewawilat to the Buddha image in 1971 (B.E. 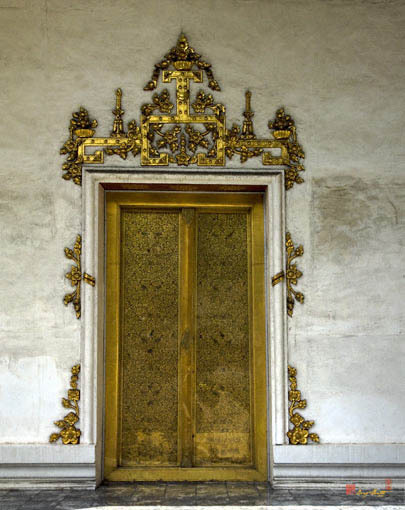 2514). 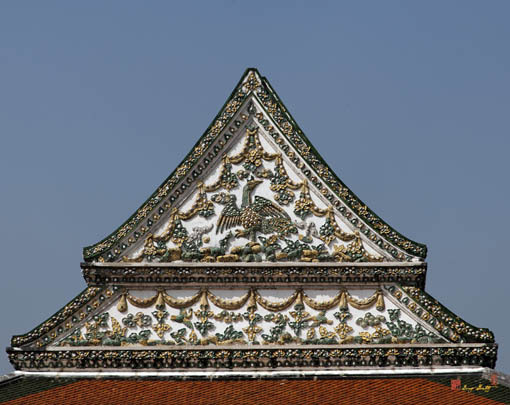 The roof of the Ubosot has no Chocfa Bai Raka (roof finials) and the gable is decorated with Chinese porcelain. 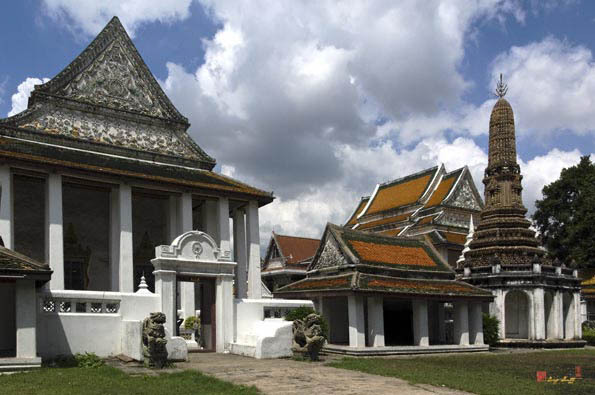 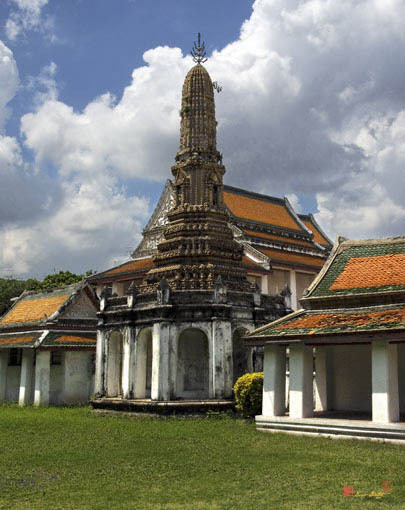 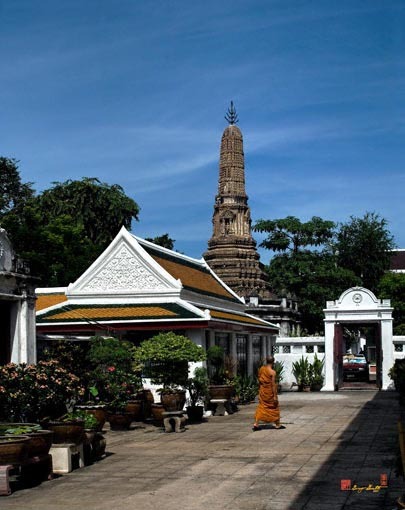 The Thailand Fine Arts Department registered Wat Thepthidaram Worawihan as an ancient monument in 1977 (B.E. 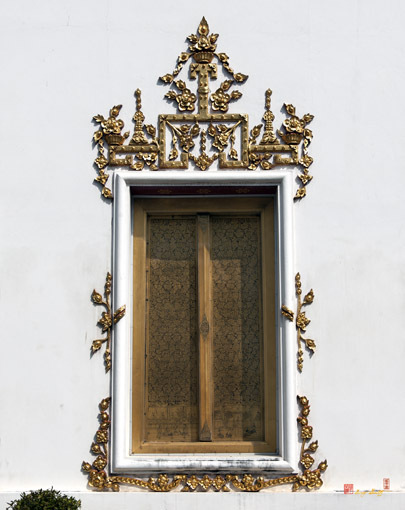 2520).